Costalingua - Who are we? Costalingua S.A. is a Spanish Sociedad Anonima (public company), commercial register T2622, F200, S8, HT 42821, headquartered in L’Hospitalet de l’Infant. Its subscribed capital of EUR 400’000 is fully paid up. The purpose of the company is to provide language teaching, communication consulting, translation services, as well as the purchasing, renting, and procuring of real estate. 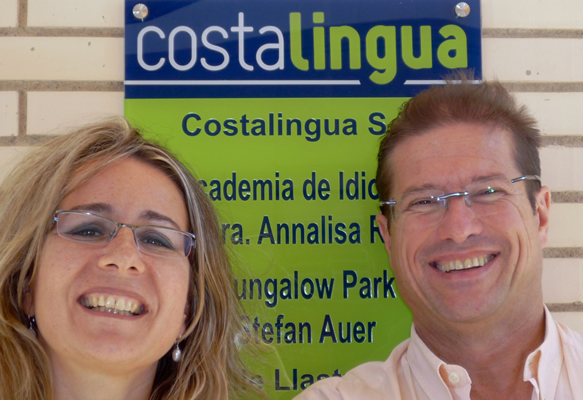 The company, and therefore both La Margarita Bungalow Park and Costalingua Language Academy, are managed by the joint owners, Dr. Annalisa Rei and Stefan Auer. Our goal is to offer you a personalized and inspiring holiday experience, and we are personally committed to ensuring the highest quality, both in our bungalows and in our language courses. 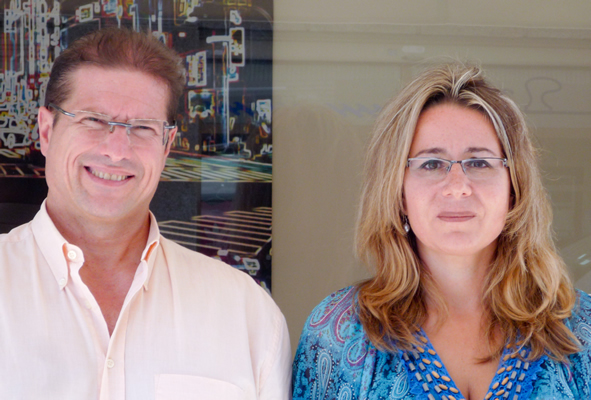 We are a professional couple from Switzerland in our mid-forties, with many years of experience in business and education. We both come from the business world, having spent many years working in executive positions in large multinational organizations. Both of us are fluent in several languages (German, English, Italian, Spanish, French) and have lived and worked in different countries. We also have long-standing ties to Spain. Since we love the lifestyle of the Costa Dorada we decided to make it our home. The vision of a bungalow park with a language school grew out of a desire to create personalized and meaningful forms of holidays for busy people like ourselves. We apply our combined managerial, commercial, and academic experience to Costalingua. We bring our enthusiasm and vision about the perfect vacation – what we would have wished for and what friends and work colleagues told us they would like. Last but not least, we bring our shared passion for quality to Costalingua. For the Bungalow Park this means that you will find high quality accommodations directly at the beach in a luxuriant Mediterranean park, far away from mass tourism. The bungalows are perfect for a family vacation with children, not only in the summer but also in spring and autumn. For the language academy this means that we are committed to providing top quality courses that focus on your individual learning objectives. We want you to succeed in communicating, be it to further your business or to enrich your personal relations!